The Tribe: Official वॉलपेपर. वॉलपेपर from the official site of The Tribe. 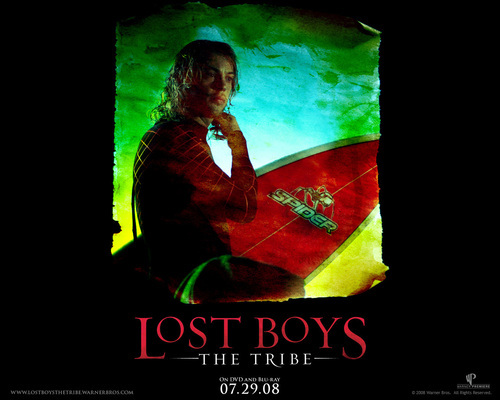 Angus Sutherland as Shane.. HD Wallpaper and background images in the The लॉस्ट Boys Movie club tagged: lost boys 2 the tribe wallpaper official image shane angus sutherland. This The लॉस्ट Boys Movie wallpaper might contain हस्ताक्षर, पोस्टर, पाठ, चॉकबोर्ड, साइन, and साइन इन करें.